Home › Travels › Asia Pacific › China › Guangzhou › THE MOST POPULAR PART OF GUANGZHOU? THE MOST POPULAR PART OF GUANGZHOU? Okay, so I don’t really know what there is to do in Guangzhou. Enlighten me please the world of the interweb. Time to go on google. Hello Pearl river in Guangzhou! 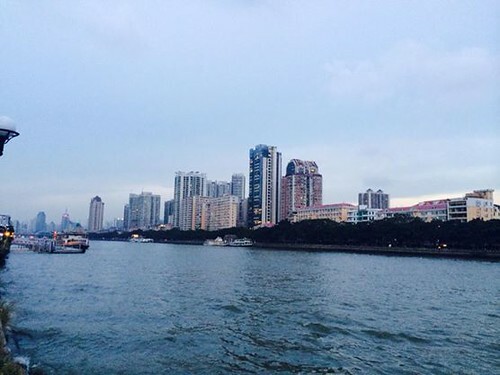 The pearl river is a long river that is situated in southern china, and runs through Guangzhou. The last few times I have been to the city I’ve never really visited it! Since I arrived early on a Sunday, I decided to finally give this site a visit! Some facts about this river, it’s the third longest river in China, spanning 2400KM. It is also called the Pearl River because of the colored pearls at the bottom of the river. It’s definitely a nice, relaxing walk on a sunday. There were a couple of bars and restaurants, but its not as hectic as say the Bund in Shanghai or the waterfront in TST, Hong Kong. For those that want to get more out of the river, you can go on a cruise that lasts for about an hour. The cruise will take you on the pearl river around Guangzhou. I read online that it is quite beautiful at night, when you are on the cruise. I unfortunately didn’t go on a cruise because it was raining, but maybe next time! Don’t know if this is on top of my to do list in Guangzhou, but if you have some time to kill, why not get some exercise in and walk by the river?! We have stayed at the White Swan Hotel on Shamian Island. 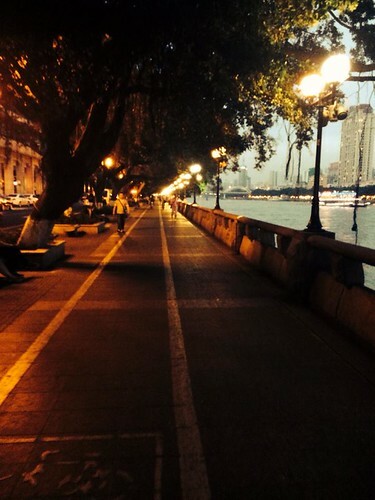 We enjoyed walking around the island and along the Pearl River, especially in the evening. Very nice. Very relaxing.